You can use the WonderStep while reading. Simage usage on the side of the head. Simag usage on the head. BioSinhron can be also used with hands. Simag usage on the leg. 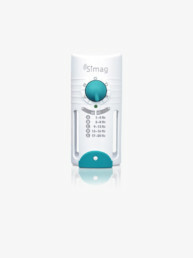 Usage of Simag on the chest area. 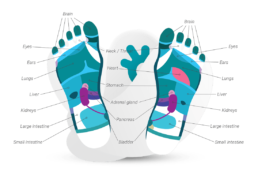 Pressing the reflex points on your feet and palms activates a reflex, that through nerve, electrical, chemical and magnetic processes strikes a natural balance in the body. 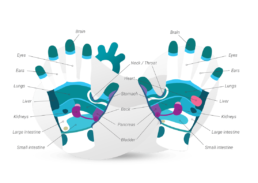 With feet/palm massage we activate reflex points,with what we launch impulses which travel through nerves to the brain and further on through the whole body. That way, with reflex therapy, we influence the whole body and establish homeostasis or body balance. Reflexology massage has a mental and physical effect. It is over 4000 years old and today an established method of self-treatment. Dr. Roger Sperry, Nobel prize winner for medicine, has proven that moving your tips of toes invigorates the brain cells, increases the capacity of memory and learning and prevents old age dementia. Similar findings are found in Chinese medicine, where by stimulating reflexology points on the palms and feet you invigorate the brain cells. Reflexology increases the secretion through the nose and pharynx, which can be similar to a common cold. This is still the case of excreting harmful substances. One can sweat more, which is also only increased secretion, the odor can be stronger, there is a greater secretion of urine (urine is clouy and smelly) and stool (smelly, slimy). With women it is also possible to have an increased vaginal secretion, which can be very sharp. This is a positive process, which suggests the activation of the cells of the immune system. If we don’t achieve the success we expect soon, we are usually disappointed, depressed. Let us be optimistic and take reflexology treatment seriously, equal to the other therapeutic methods and success will surely follow. 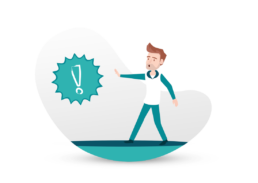 Warning: We cannot perform reflexology if we have an increased body temperature (>37 °C), in the event of illness, which requires surgery, with the disease morbus sudek (complex regional pain syndrome), in the event of high-risk pregnancy and in events of ulcers and sores on the feet. 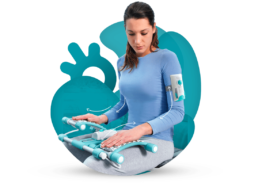 Activation of muscles of hands, legs, abdominal, back, shoulder and neck girdle, calf and forearm muscles, which work as auxiliary heart pumps. Movement is life. Movement is the basis for the normal functioning of the cardiovascular system and it helps with organism rehabilitation. The world elite of medical experts recommends for the purpose of healthy living and prevention of cardiovascular problems at least 1 hour of exercising a day. 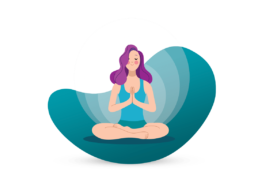 Those who are healthy, have numerous opportunities for exercising, but when we are faced with a disease or condition, our movement is limited because of age or injury and we are suddenly severely inhibited in the sense of exercise. 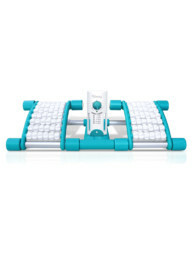 In these events an excellent solution of exercising is when sitting – BioSinhron therapy offers movement in the sitting position – stepping or pressing the feet/hands on pads. 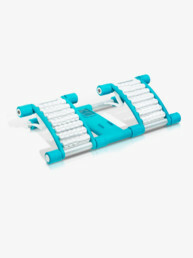 Stepping activates the muscles of the feet and hands which helps with better circulation. Our vascular system can be compared to the rivers which are vascular system of the Earth. Torrents or fast rivers have clean and white river beds, whereas lazy and still waters don’t remove the waste and it gathers in the water bed. Similar can occur in our vascular system if the blood circulation is poor. Pressing or stepping is a therapy, which if performed with the legs, activates leg muscles, abdominal and back muscles. In this way muscles exercise and strenghten, the calf muscle is also activated, which function as an auxiliary pump for the heart. When the calf muscle is activated, it presses the vein to the bone and in this way helps propel the blood through the body. 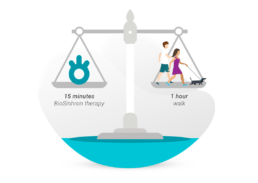 The effect of stepping for 15 minutes on Biosinhron is the same as walking for an hour, whereas with BioSinhron therapy we don’t burden the knee and hip joints. If the same therapy is used for hands, we activate the entire arm muscles, shoulder girdle and neck. We excercise these muscles, whereas strengthening and activating the additional heart pump (forearm muscle). Additional supply of oxygen, food and water to your body cells. 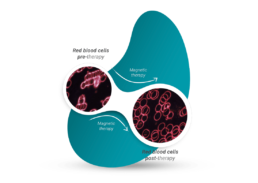 Magnetic therapy maintains or increases tension of the cell membrane. Cells are therefore able to use their energy to perform other tasks. 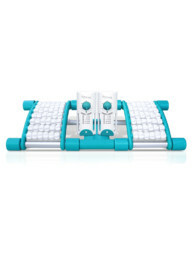 With BioSinhron therapy we efficiently improve our energy balance. By activating the membrane pump ant the exchange of the ions, we reach cell tension renewal, better digestion and reactivation of the tired cells at remote areas of oxygen supply. Before we get sick, there is a period of exceptional fatigue or a sense of worn out. 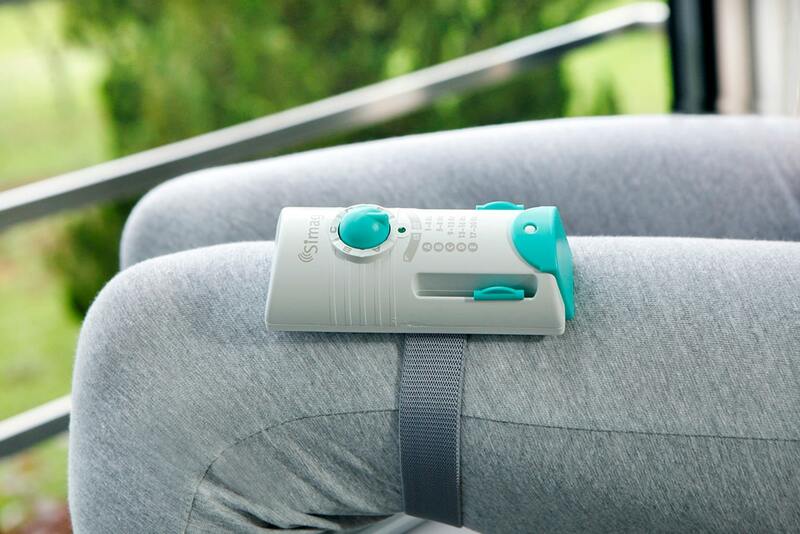 BioSinhron therapy improves the use of oxygen in tissue and creates conditions for the reproduction of energy. A cell can use this increased supply of energy for the renewal of cell tensions and with it create the conditions for recovery and organism regeneration. 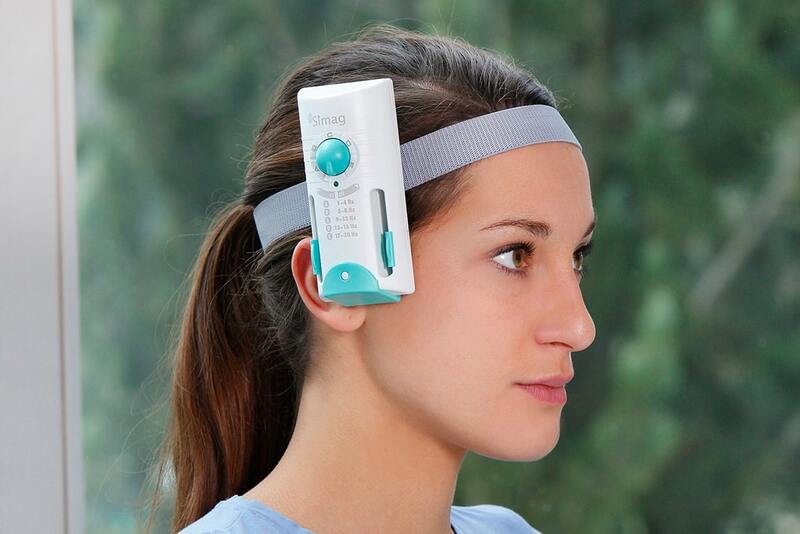 BioSinhron has a positive impact on the autonomic nervous system and its balanced functioning. 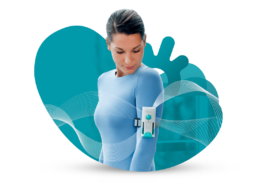 The autonomic nervous system controls the most important bodily functions – breathing, heart rate, digestion, gland functioning and organ functioning – and offers a wide range of possibilities of useful use of BioSinhron. 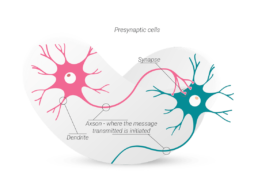 The effect via the nervous system is proven with sleep disorders, depressions, arrhythmia… Psychological instability can cause the onset of a disease and vice versa. According to this theory there are actually only psychosomatic conditions (e.g. arthritis, allergies, asthma, …). Magnetic therapy works according to the Hall law from the 18th century and has been proven to improve blood circulation. If the magnetic effect is set rectangular to the blood stream flow, the opposite magnetic field will reflect the electric field to the ions in the blood. To put in simply: blood turns like a forced out cork, which accelerates the blood flow, oxygen transfer and nutrients. Because the blood flow is increased, the body finds it easier to remove the redundant cholesterol, toxic particles and other waste products, which normally composite on the vessel walls. This procedure therefore prevents the clogging of the vascular system and accelerates renewal of the blood. Based on this, the body is able to heal faster. The Earth has a magnetic field, one which we are exposed to since birth. 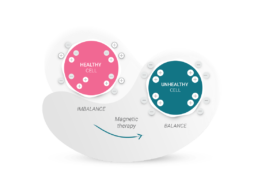 The idea behind magnetic therapy is that magnets help stimulate an ideal space or environment in which the body heals itself. 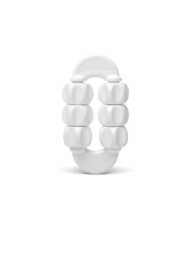 Magnetic therapy has been used for centuries for pain relief, whereas in the last couple of years it has become recognized because of its successful relieving and remedying of pain (acute and chronic). Magnetic therapy impact on the pain is two-fold – direct and indirect. Directly it influences the reactivation of neurones, movement of calcium ions, membrane tension of the cells… The indirect benefits of the magnetic fields for physiological functions are improved circulation, relaxed muscles, easing edema, greater amount of oxygen in the tissue, easing of swelling, increased content of prostaglandins, better cellular metabolism, increased energy production in the cells. Scientific studies have proven that red blood cells, which receive and bond oxygen in the lungs, under the influence of magnetic therapy, submit more of its precious treasure to the blood. The reason behind this is the slight shift of the oxygen connective curve. Oxygen saturation in the blood cells is increased by at least 30%. Numerous researches report that exposure of the body to magnetic field with an increased blood flow and more intensive functioning of the oxygen on the pathological areas helps in self-healing. Water is the basic building stone of life, the chemistry of life bases on water and all living creatures cannot survive without it. The human body contains about 65% of water, the brain up to 80%. Water is the simplest molecular structure, composed of two hydrogen atoms and one oxygen atom (H2O), and we can’t imagine life without it. Practice shows that anyone who drinks enough water can expect even better results from magnetic therapy. Water should be magnetized. Because of the electromagnetic connection, the water particles form organized groups, which follow certain principles. This composite presents stable units, which function as information gatherers. The water intercellular space is a functional unit in the body. Disturbances in it affect the regulatory system. Magnetic therapy through the regulatory system has a positive effect to the body in the form of intercellular stimulus, which substantially aids in the remedy of certain disturbing effects –this is why it is extremely important for everyone to drink a lot of water. With each BioSinhron therapy we recommend drinking magnetized water. You make it by placing a glass or a cup of water on the Simag and set it to programme C. Water is then exposed for 15 to 20 minutes to the effect of the pulsating magnetic field. Drink the water prepared in such a way right before the BioSinhron therapy and once again right after the therapy. Every day drink at least 8 cups (cca. 1.5l) of magnetized water. Drinking magnetized water has a positive effect on the blood stream, strengthens the therapy effect and the water in the body binds hard metal (aluminum, lead,…), which is then excreted from the body. Drinking water is very important in BioSinhron therapy, because the therapy triggers the process of body cleansing and the water helps in the faster excretion of toxic and waste substances. Our bodies are made up of over a billion cells. The key for the production of cellular energy ATP, which is imperative for the functioning of the entire organism, is magnetic field. Live organ tissue does not represent any hindrances to the magnetic field, so the magnetic field equally and powerfully affects all the cells in the body. No cell or tissue is of exception. In each cell and intercellular space there are ions – the carriers of electrical charge. Under the influence of the magnetic field, the ions gather at the cell membrane, which leads to increased electrical tension of the very membrane (hyperpolarisation). With this the functioning of the so-called ion pump accelerates, the transition of ions through the cellular membrane increases in both directions. More oxygen reaches the cell, which fosters greater production of energy (ATP – adenosine- triphosphate) in the special cellular organelles – mitochondrion. Cellular activity improves or normalizes, depending on the cellular energy starting state. The described processes take place in all the cells or tissue, which are affected by the magnetic field. Extremely welcome is the effect of the magnetic field to tissue, which through oxygen supply with the diffusion process (transfer of substances from the area with higher concentration of this substance to the area of lower concentration – intervertebral disc, meniscus). Magnetic therapy does not have harmful side effects. Scientists unanimously claim that magnetic therapy normalizes the human body metabolism and in this way ensures pain relief. Harmful substances are secreted, the blood flow normalizes and the level of oxygen in the cells increases. Skin aging and wrinkle formation slows down, and wrinkles smooth out. Its use enables the reduction of prostate and the accelerated functioning of the kidneys ensures the secretion of harmful substances from the body. Mental capacity improves, body energy increases and sleeping improves. Tests with various organic substances under the magnetic field effect show that their life span prolongs. Professional reports state that magnetic therapy in degenerative processes leads to the remedy of the cause, which has a harmful effect on the heart and blood flow, and also arthritis. 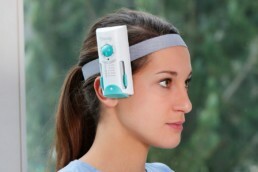 Magnetic therapy is a good way to eliminate stress, which often leads to disease. 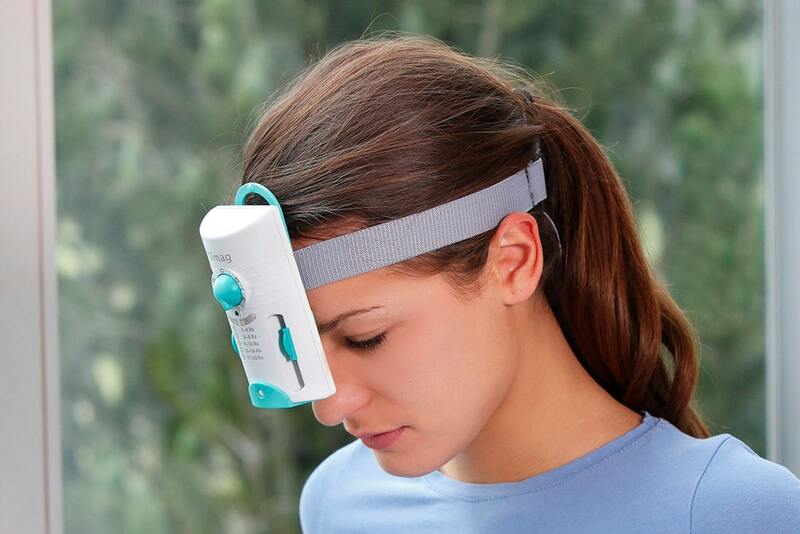 Magnetic therapy at night has a soothing and soporific effect on the central nervous system. The consequence of this natural stimulation is that the body prepares to produce the melatonin hormone. Melatonin releases stress, works against the aging process and protects the body against infections.